Click on the link below to read the November 2013 issue of The Cleaning Gazette. 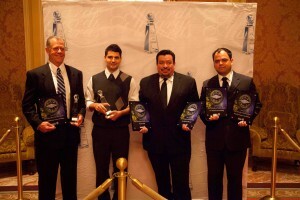 The Cleaning Gazette is the official publication of the Cleaning Industry Trainer’s Guild. 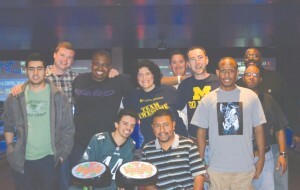 The LAHH Christmas Bowling Party 2012. In front, Daniel and Bryan – Light Duty Specialists in the certification program. “What we’re doing is recognizable”, said Mike during the LAHH supervisor meeting. Mike manages a team of six custodial specialists of which four are people with special needs. Jamie, on Mike’s team, has started to show improvement with managing the Super Coach BackPac Vacuum, even though her hand-eye coordination and equilibrium are impacted by her disability. But it is clear her heart is not! Mike told us he is so proud of her as she has been working hard to learn the specialty and not give up. Mike also shared that Jamie has been improving and how her work is recognizable. And this is what he loves about (OS1) and working as a utility specialist. Guido went on to say, “Mike, you are right. When we look back at our finished work we can see a change, we can see something different from before. We are improving something.” Guido shared that during the last certification class, the homework focused on cleaning plays for Light Duty Specialist and in question #2, asked what should be picked up from the floor prior to the Vacuum Specialist arriving to the area? Mike responded that Jamie hasn’t had to pick up anything too large for the vacuum or call back a Light Duty specialist. The Light Duty Specialists on Mike’s team are also in the certification program. 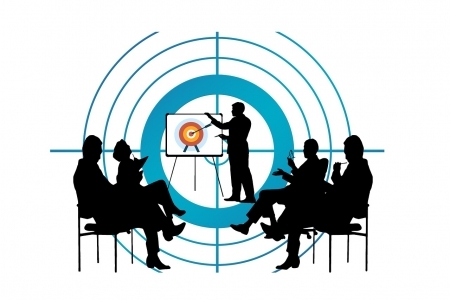 Quality in education extends to quality in the workplace. What is happening in the classroom at the LAHH (OS1) training facility is recognizable . . . in the workplace. Cleaning times and work assignments are one of the most important, yet misunderstood concepts in managing a profitable cleaning program. In this half-day workshop, John Walker, author of ISSA’s Cleaning Times series, will teach you how to use the 540 Cleaning Times to identify productivity strengths and weaknesses. This workshop will be taking place at ISSA/Interclean North America 2012 on Tuesday, October 16th at 1:30pm – 5:30pm @ McCormick Place. Separate registration is required: $149. This workshop is not included in the ISSA Convention seminar fee. 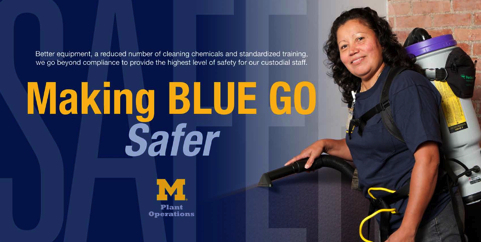 The ProTeam Super CoachVac was featured in a series of posters at University of Michigan to educate the community about the elements of the new cleaning program. In 2009, the University of Michigan in Ann Arbor started a five year rollout of a comprehensive, high-performance cleaning management system, ManageMen‘s Operating System 1®, (OS1). John Lawter, Associate Director of Plant Building and Ground Services, chose (OS1) to improve productivity in light of ongoing budget cuts. With 200 facilities to clean covering a total of 15 million sq. ft., Lawter’s staff has gone from cleaning 36,000 sq. ft. per custodian to 40,000 sq. ft. per custodian, while improving the health of the environment. One of the biggest tenets of (OS1) is to clean for health first, then appearance. It was this and the simplified workflow that appealed to Lawter who wanted more consistency and fewer products. In (OS1), custodians specialize in specific tasks, and they do all tasks of a single function at one time. This reduces wasted time switching tools and backtracking. Vacuum specialists may vacuum for an entire shift using a backpack vacuum designed by ProTeam® to reduce strain to the user. “Dr. Berry’s study at the University of North Carolina showed us that, used properly, the backpack vacuum was a more ergonomic and effective product than an upright,” said Lawter. Lawter swapped a ramshackle collection of uprights of different ages and models for ProTeam’s 11-pound Super CoachVac®. “There’s no beater bar to throw dust around,” said Lawter. “It reduces the amount of dust particles in the air.” Two of Lawter’s staff who suffered from allergies reported their symptoms noticeably improving after switching to the backpack vacuum. ProTeam is partnered with the American Lung Association in efforts to educate the public about the importance of healthy indoor air. Prior to implementing (OS1), the biggest problem Lawter faced was inconsistent performance, a symptom of the zone cleaning system they were using previously. Campbell recorded the story of the University of Michigan’s cleaning success along with the University of North Carolina and two other universities that implemented (OS1) in the article “Cutting Costs and Improving Outcomes for Janitorial Services” which appeared in the September/October 2011 issue of Facilities Manager and was reprinted in the Cleaning Gazette Newsletter the following May. “In an industry that has been around as long as public buildings themselves, janitorial methods have seen little progress. As a matter of fact, most janitors today use the same tools and processes that were used 50 years ago,” said Campbell. In addition to the timesaving backpack vacuums, (OS1) reduced Lawter’s chemical inventory from 50 products to less than 10. Individual use portion packs ensure that custodians get what they need and only what they need to clean every day. For Lawter, this hugely simplified the process. As reported in the Cleaning Gazette Newsletter last July, Sightlines, a prominent facility management assistance firm, did a thorough evaluation of the University of Michigan in the fall of 2010. They compared the data to a database of 300 institutions of higher learning and a group of 10 peer universities chosen by the administration. This survey was taken in the midst of the (OS1) rollout at the university. The custodial department had not yet reached the 80-percent audit they hoped for. They were still rated as the number one organization in cleanliness evaluations. The study also showed high production rates and low cost of materials in comparison to their peers and the greater database. In their most recent (OS1) audit last month, the University of Michigan surpassed their goal of an 80 percent audit, reaching 83 and 87 percent. 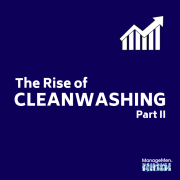 According to Walker, it is the work of people like Lawter and his staff in documenting the effectiveness of (OS1) that will someday take the cleaning industry by storm. When cleaning is standardized, workflows are simplified, and productive tools are utilized, unbelievable savings are possible. 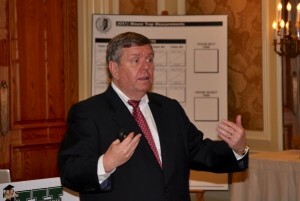 “You can reduce costs and improve results with this documented system,” said Walker. (OS1) organizational certification is determined by our (OS1) Audit criteria, on a building-to-building basis, within a cleaning organization. Currently, there are approximately 340 different factors we look at that cause any building to be clean. We audit what is going on at the actual site, as well as, the management of that site.